Father of Beresford Leaver, of 31, Dover St., Nelson, Lancs. NELSON SOLDIER'S DEATH IN FRANCE. Pte. William Bannister Leaver, 12th King's Liverpool Regt., died in Rouen Hospital, France, April 1st, 1919. He was 36 years of age. He had been in hospital about 6 weeks suffering from septic poisoning, and had undergone three operations. He was just about to be demobilised and had been out in France over two years, and had been wounded once. Pte. Leaver was married and leaves a widow and one child, living at 31, Dover-street, Nelson. He was formerly a weaver at Messrs. Bracewell and Duerden's, Throstle Nest Mill. 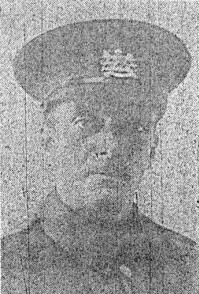 Nelson Leader, 11th April 1919. To be with him at rest. Oh, the grief that we feel, words cannot ? For we could not be with him so bid him farewell. And John and Willie (in France).